I recently have been privileged to start collaborating with a group of Sales Enablement professionals called the Sales Enablement Society (SES). Much more than a LinkedIn information sharing group, this is a community of concerned professionals who are coming together with the vision of elevating the Sales Enablement role in business. The Society has rapidly grown to nearly 1,200 members and thousands of followers in less than a year. The Austin SES Chapter is just getting off the ground, and last week we had our third monthly meeting. To say things are growing in a chaotic fashion is really an understatement! The communications process among SES members on LinkedIn can best be described as being like an action scene from the movie Fast and Furious, only in slow motion. Literally thousands of people are watching, listening and participating in the action! A high level of distraction is a near certainty, as many smart people come together to debate the relevance and importance of Sales Enablement in helping sales organizations (and for that matter, enterprises as a whole) improve revenues and performance. At the local Austin Sales Enablement Society chapter meeting, we found it difficult not to discuss and reflect on what Sales Enablement means to each participant, even when reviewing basic topics. We discussed whether a Sales Enablement person (or team, or other organizational role, depending on the individual participant) should have a charter, and if so, what does that look like? Even among the dozen or so meeting participants, each of us shared different experiences, responsibilities, organization structures, and other perspectives about our personal Sales Enablement experiences that defied the team to provide a simple answer to the question. Other Chapters have reported similiar discussions in their meetings. Besides agreeing that there is a legitimate need for Sales Enablement in any business, I’d like to share a few observations about “enabling” a sales organization that illustrate why it is so difficult to characterize the Sales Enablement role and how it contributes to the success of any organization. Also, it has led me to an initial proposal about how Sales Enablement Society can most effectively contribute to elevating the role by clarifying and documenting the best practices and tools that form the Sales Enablement role. Is “Enablement” a Noun or a Verb? To me, a misconception about Sales Enablement is the idea of having a role for it in the first place. Having a specific role for Sales Enablement is a matter of how the disciplines involved come together to create an actual role, which as we saw in Austin, is embodied in numerous people, organizations, and charters. Nevertheless, organizations big and small are implementing Sales Enablement tasks, building skills, implementing best practices, and automating their processes (among many possible SE activities). I have a pet saying that I often use with clients when it comes to their sales process, simply: Whether you have a formal sales process, or whether you think you don’t, you still have one. Many firms implement components of Sales Enablement but do not concern themselves with which person is supporting that component – I have often heard stories that some SE professionals just decided it was their job by default. In other words, Sales Enablement is often not about who does the work, but what work is done, and how it contributes to improving sales team performance and execution. Here is another dimension of the role definition issue. A recently published CSI Insights study entitled, Sales Managers: Overwhelmed and Underdeveloped came to the conclusion that training and improving the performance of Sales Managers is among the most important critical success factors in improving sales team performance. Additionally, the study pointed out that while the practice of Sales Enablement is growing, sales performance is not improving in a corresponding fashion. The study concluded that Sales Manager Enablement is the missing ingredient to address this key performance gap. Despite the gap, I would argue that for many Sales Managers, Sales Management and Sales Enablement end up becoming the same thing. In fact, as CSI Insights pointed out, firms invest in sales training, establishing a sales process and methodology, implementing CRM, and then fail to improve performance. As a client and colleague of mine stated, it becomes a “hearts and minds” issue of how sales team members embrace all of this investment and effectively use it. If the Sales Manager does not provide effective leadership and direction to sales people around these investments, they can fail. What I have seen, especially in smaller and middle market businesses, is that Sales Enablement is being done by the Sales Management people in the business. My own Sales Management experience was driven as much by Sales Enablement as it was managing sales people. If the Sales Manager is unable or unwilling to adopt or in some cases, implement, Sales Enablement tools and techniques, there is a good chance that sales team performance will suffer. Among the most visible technology tools that claim to focus on improving sales productivity are the vendors who support Account Based Sales Development (ABSD). ABSD is a more sophisticated approach to cold call prospecting which recognizes the limitations of contacting individuals in a target customer, as well as the lack of communication and discipline found in many Sales Development efforts. The purpose of ABSD is to create leads for the sales team. 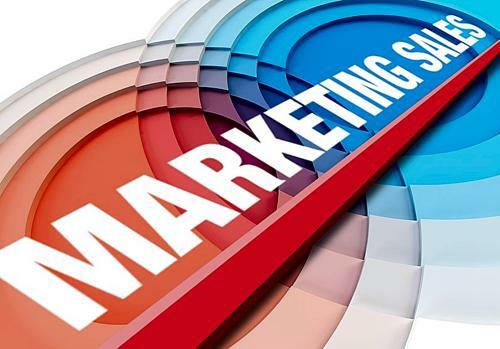 ABSD requires the involvement of Marketing to enable prospecting conversations with potential customers. There is a critical emphasis on Marketing and Sales departmental alignment and the provision of Marketing content to support ABSD activities. Clearly, ABSD involves Sales Enablement practices since it fits in the continuum of activities between marketing and selling. You have to train Sales Development personnel just like you have to train sales people and Sales Managers. Good management of the ABSD team is no less important than in field sales, nor any less prone to fail if the Sales Manager isn’t committed to best practices. In the Austin SES chapter, several members report to their respective Marketing departments. Good Marketing makes good sales possible, and there is no question that many Marketing practices are Sales Enablement practices. I’m sure each of us have our own examples of what Sales Enablement is or is not. Each of the examples above illustrate why there is a need for a better definition of the Sales Enablement role, and how cross-functional disciplines come together to justify Sales Enablement in one job. Because there are so many variations of the role, I propose that a good first step towards making that happen is to describe what the practices are and document them to create a Sales Enablement Playbook. 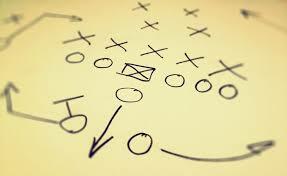 A Playbook would provide the means for firms to put Sales Enablement best practices and tools to use based on their unique circumstances. If it’s true that SE practices will be implemented whether there is a role or not, that Sales Leaders must compel their teams to use them, and multiple department disciplines must be involved, then understanding the practices, how they are used, and how they produce results, would permit organizations to better realize the need for the Sales Enablement role as an enterprise position worthy of the C-Suite. Because my own sales experience so extensively involved Sales Enablement practices, I wrote a book, 99 Questions to Achieving Your Sales Goals, that is designed help sales leaders sort out what practices are most important to enabling a successful Sales team. As a former Sales VP and Sales Manager, I know that how sales leaders organize and manage their team enables sales performance. Sales Enablement best practices and tools are necessary to make that happen. As the Sales Enablement Society moves forward, I hope to see a focus on what works and how we can collaborate to help all participants achieve the best results from Sales Enablement tools and practices. The Austin SES chapter plans to further discuss the Sales Enablement Playbook concept in order to better describe what it might look like. I plan to work with businesses who want to better apply Sales Enablement to create greater revenue growth and accelerate enterprise performance. To help jumpstart the Sales Enablement Playbook effort, I’d like to share my book, 99 Questions to Achieving Your Sales Goals and will provide a free copy to anyone who would like to have one. You can download a free copy of my 99 Questions book by clicking here. On Wednesday, May 15, I’ve been invited to participate in a panel discussion and speak at CMSExpo, an annual conference devoted to all things content. I am an avid Joomla user (the tool I use for my website), so I’ve been collaborating with a number of web developers and marketing consultants both to develop new business and to support them as clients. One such colleague is Avery Cohen, principal at Metrist Partners. Metrist and I are partnering to create new thought leadership around integrating sales and marketing content to produce revenue. Here is Avery’s recent article, also posted on the CMSexpo blog site, describing this new thought leadership. Many Thanks to Avery for allowing me to post his article here. It’s a typical day at the office: The Sales Team says that Marketing isn’t producing good, qualified leads. The Director of Marketing is trying to keep up with a changing technical environment and production demands for content. The Marketing Team is working on advertising, online articles, email and print newsletters, social media along with brochures, trade shows, and presentations. Search rankings are falling, and the cost of customer acquisition is rising. The results we are getting from our marketing campaigns. MBA4Sales Best Practices Blog Create a free website or blog at WordPress.com.